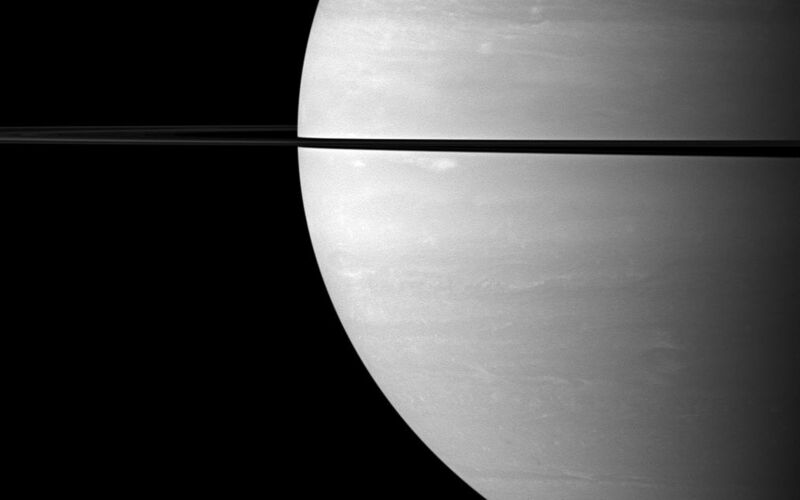 From just above the plane of Saturn's rings, the Cassini spacecraft snapped this shot of Saturn two months after Saturn's August 2009 equinox, showing the shadow of its rings as a narrow band on the planet. 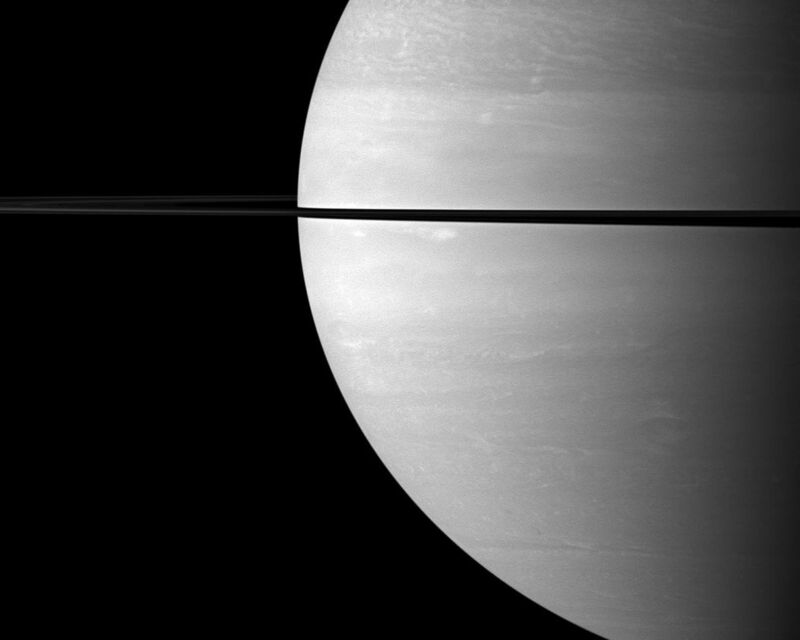 Cassini is looking toward the sunlit side of the rings from about 1 degree above the ringplane. 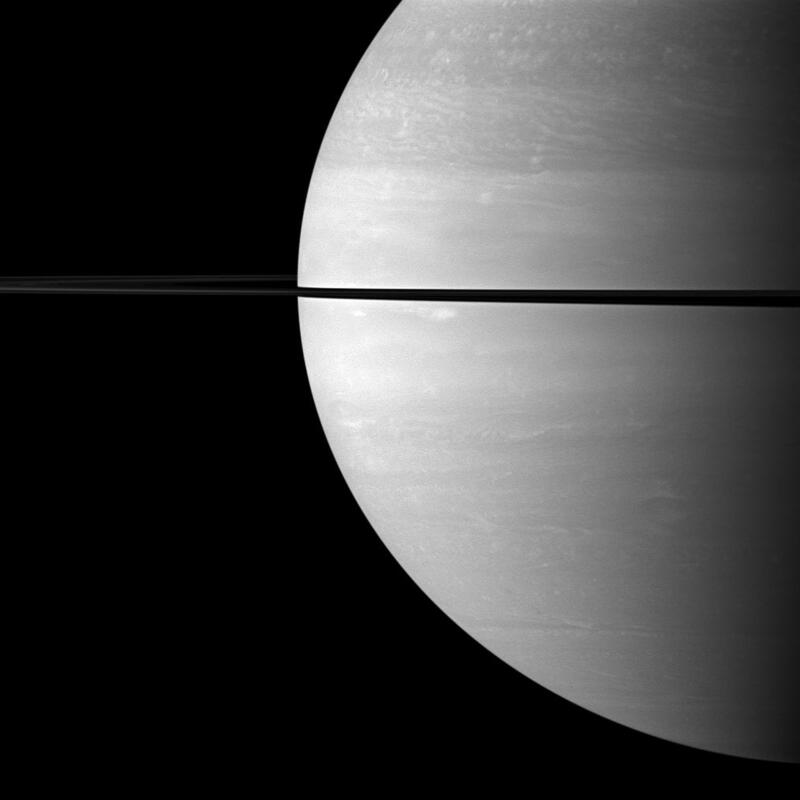 The image was taken with the Cassini spacecraft wide-angle camera on Oct. 16, 2009 using a spectral filter sensitive to wavelengths of near-infrared light centered at 752 nanometers. 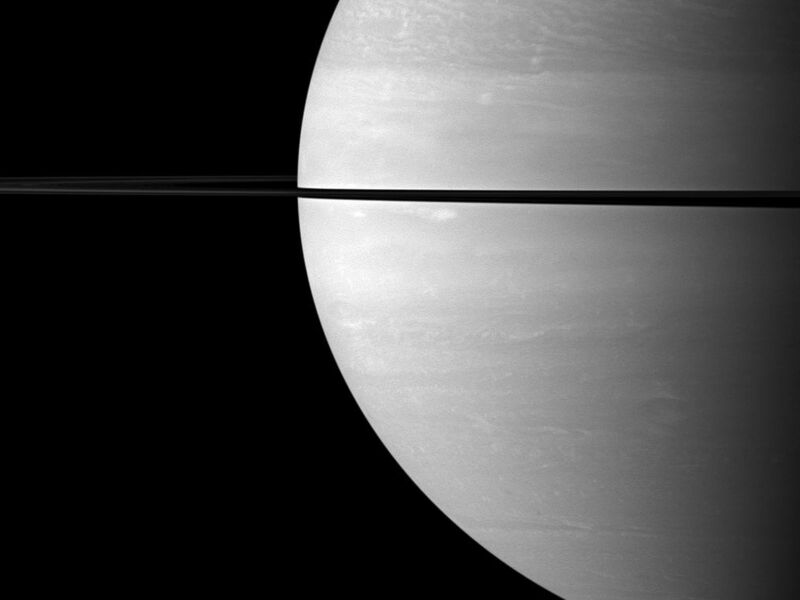 The view was obtained at a distance of approximately 1.5 million kilometers (932,000 miles) from Saturn and at a Sun-Saturn-spacecraft, or phase, angle of 83 degrees. Image scale is 86 kilometers (53 miles) per pixel.